HA NOI (VNS) — Viet Nam has become an interesting and attractive tourist destination for visitors from Europe, especially the United Kingdom (UK). Figures from the General Statistics Office showed that the number of tourists from the UK from 2007 to 2013 has increased. 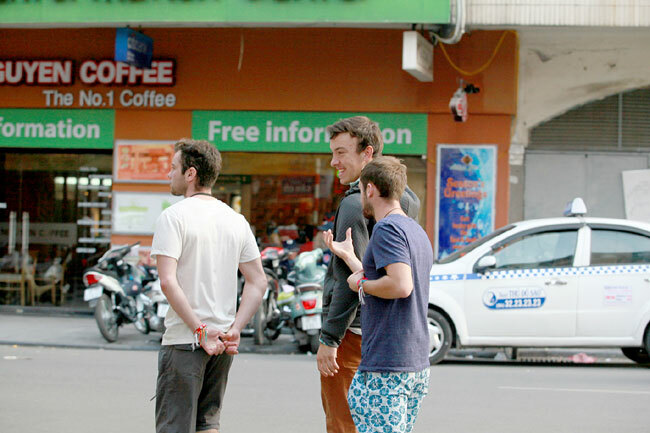 Last year, Viet Nam received 184,660 British tourists. In the first eight months of this year, it received 144,800 British tourists, representing a 17.2 per cent year-on-year increase. Because of this, Viet Nam now views the UK as one of its key sources of tourists from Europe. Visitors from the UK came to Viet Nam for several reasons, including conferences, business and work. But most of them were on holiday and wanted to experience the natural beauty of Viet Nam. Representatives of international travel companies told online newspaper Vietnamplus that 65 per cent of tourists from the UK chose Viet Nam because of its cultural and natural environment. Some were also attracted to the country's affordable tours and services, they added. According to Vietnam Airlines, about 69 per cent of UK visitors came to Viet Nam to discover the beauty of the country's natural landscape, sea and islands and learn more about its culture. Viet Nam offers favourable conditions to tourists and has been the emerging destination of choice, with diversified tourist products suitable to most market segments in the UK. In addition, it is easy to connect to other tourist sites in the region through Viet Nam, and the geographical distance between the two countries is bridged by a mere 12-hour direct flight. However, Viet Nam still faces a number of difficulties in attracting tourists. It has just begun comprehensive market research and has yet to come up with regular tourist marketing plans. Vietnamese travel companies also lacked the financing and infrastructure needed for effective tourist promotion campaigns and have to cope with fierce competition from other countries in the region. Viet Nam's tourism industry is attempting to attract more tourists from the UK by building suitable tourist products, strengthening promotion programmes and developing strong links to aviation and tourism companies. It has also simplified immigration procedures and is enhancing international co-operation alongside market research. Viet Nam is offering a visa exemption lasting 30 days for tourists from ASEAN countries except Brunei, and 15 days for tourists from Japan and South Korea, as well as Denmark and other European countries like Norway, Finland, Sweden and Russia. If approved, the proposal of the Ministry of Culture, Sport and Tourism to grant visa exemptions to visitors from nine countries, including the UK, will further promote the development of the country's tourism industry.